It’s time to enable the social learning mode! When it comes to successful eLearning design, everybody should agree that there’s no such thing as too much information about how the human brain operates. It’s wired for social learning. Our respective environments actually shape our brains and the rest of our bodies. An interesting three-minute video by Paul Burow discusses the application of neuroscience to organizational development. 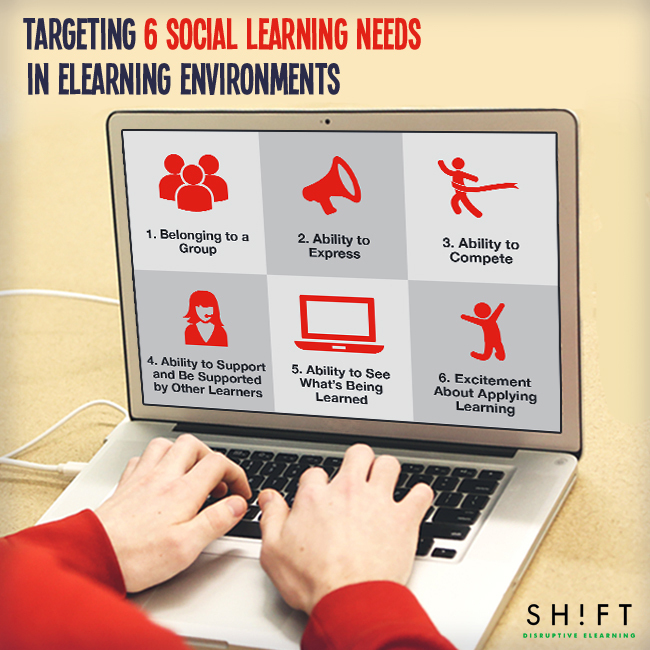 It covers six social learning needs we think can be applied to eLearning. Targeting these needs will result in more effective eLearning courses. Blogs: These complementary but important writing tools foster a student-centered learning environment for social learning.